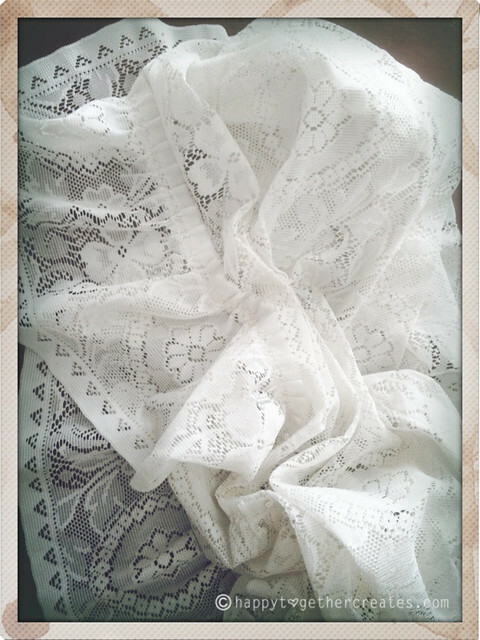 I’m always buying up lace curtains, tablecloths, etc. when I see them at thrift stores. They just call to me. 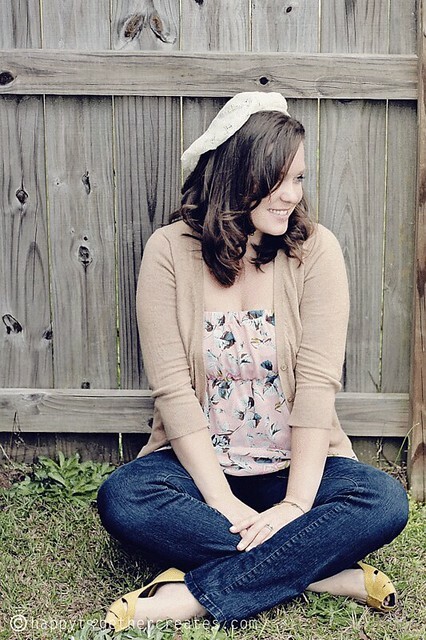 There’s just something about lace (well, pretty lace that is). Since I have some laying around I wanted to use it for something. 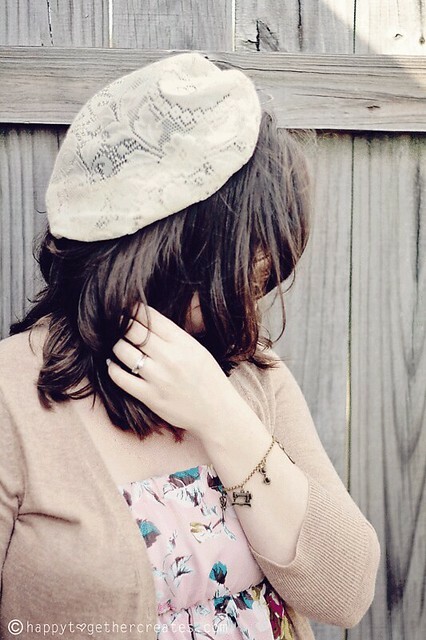 I thought a beret might be a good project for it. 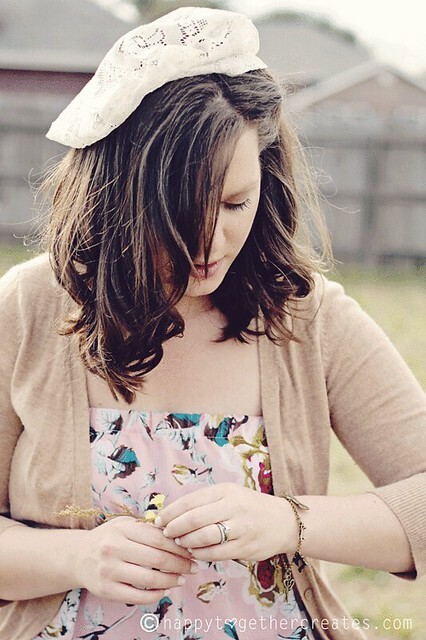 They are easy to make and a cute little accessory to go with an outfit. I wasn’t sure how this was going to work for me style wise, but I wanted to take the chance and see what would happen. I’m glad I did! I like it 🙂 I also really like this super cute bracelet I used to style this outfit with. 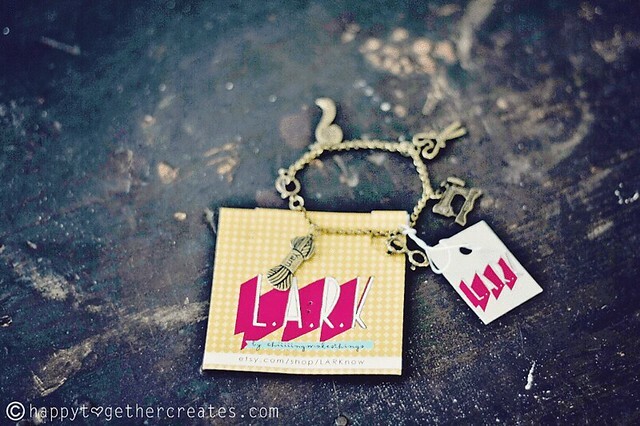 It’s the Sewing Senorita Charm Bracelet c/o L.A.R.K. and it suits crafty me oh so well! 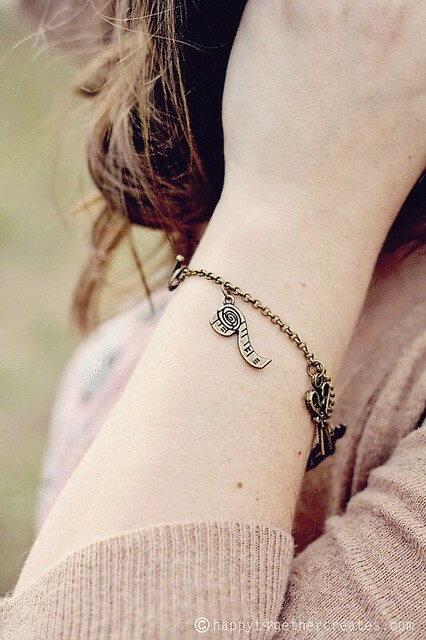 She has a ton of cute jewelry and even has a charm bracelet DIY kit where you can pick the charms you want. A perfect gift idea. And guess what? 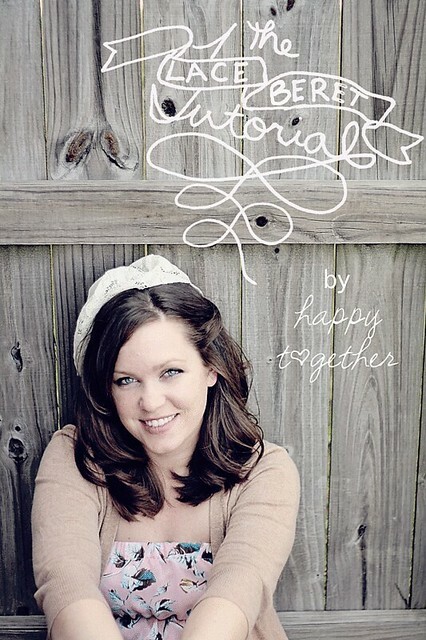 Ching, the creator behind the fabulousness of L.A.R.K., is offering Happy Together readers 15% off using code HAPPYTOGETHER15 on anything in her shop from now until Feb. 29! Free Shipping too! 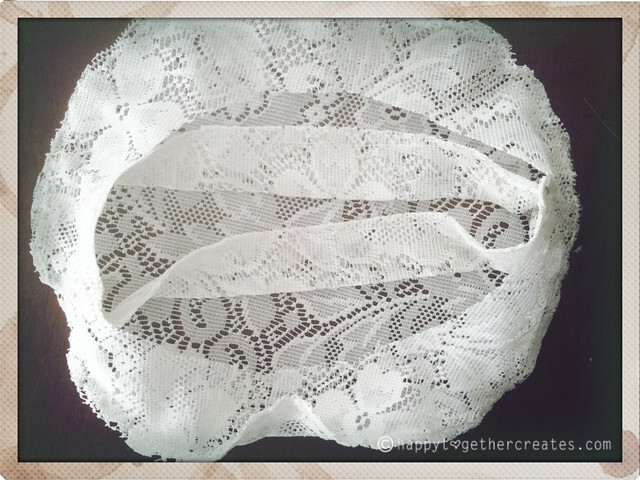 Now let’s grab some lace and get to sewing! I have to admit that these are going to be all iPhone pics. It’s just way easier with having the two little munchkins around and it’s hard to take pics at night when they are asleep (and I want to be sleeping too ;). 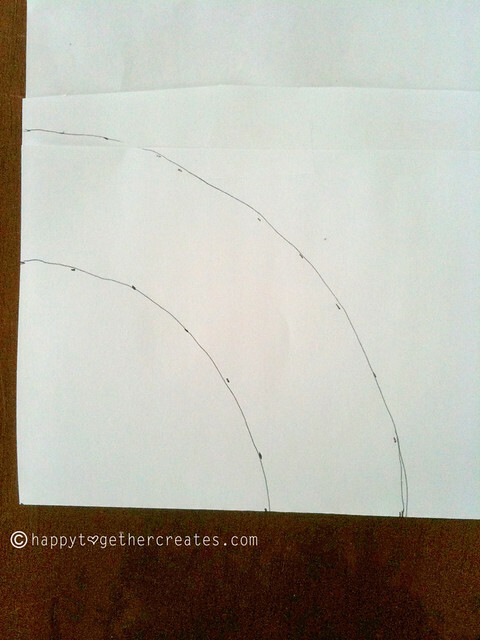 Now you need to grab some paper, pencil, and something to create a circle with (either a ruler or compass). 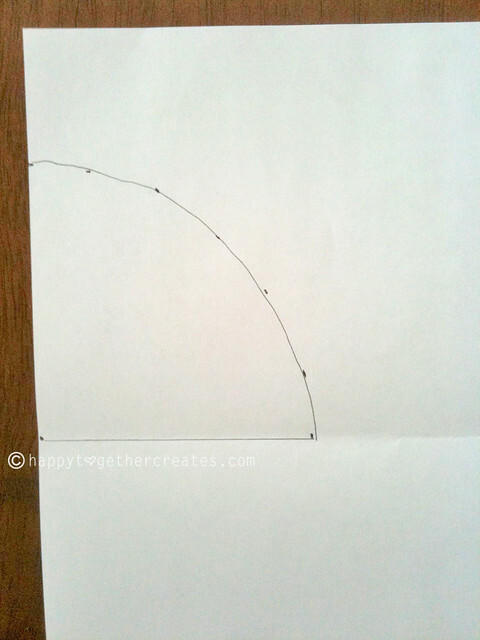 I took one piece of printer paper and folded it in half so I could make a half circle. 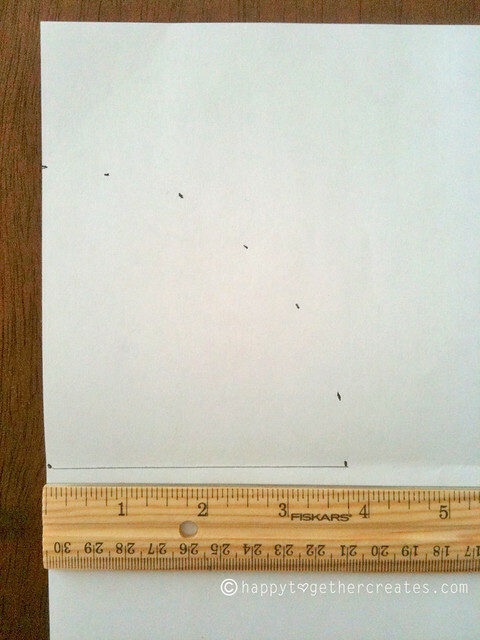 I took a ruler and made various dots all 3.7″ inches away from edge of the paper on the fold. Then I connected the dots. Of course, you can use a compass and make this easier. 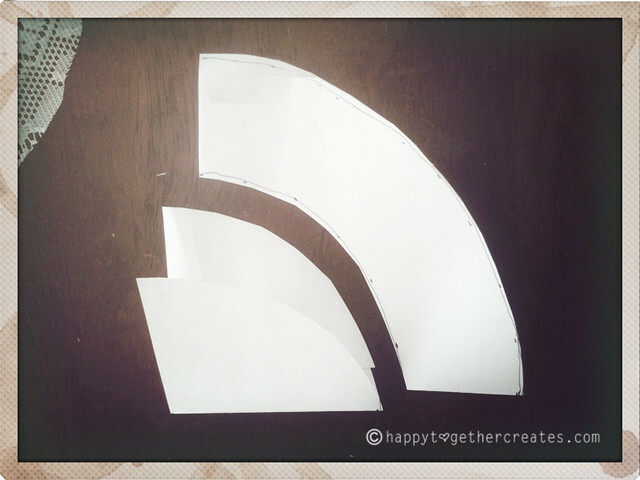 Now you are going to make another 1/4 of a circle 2.5″ further from your original. So just add 2.5″ to your radius for the new radius. Then I just did the little dots the same way and connected them. (I realized I did have to add some more paper so it would fit though :). 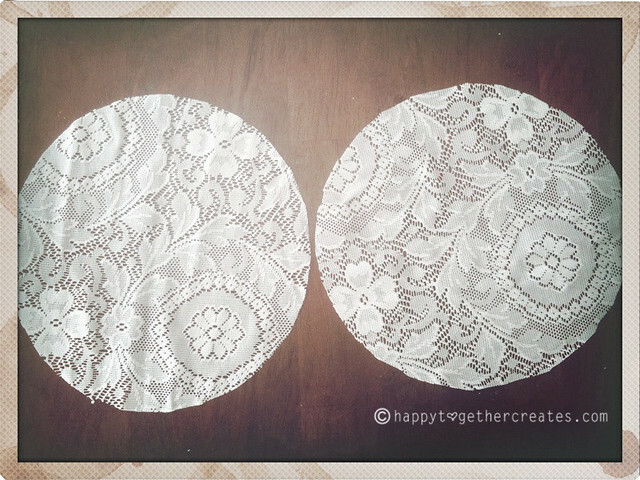 Then I folded the paper in half on the original fold I made and cut out the half circle on the furthest line. Once opened, it’s a half circle to use. 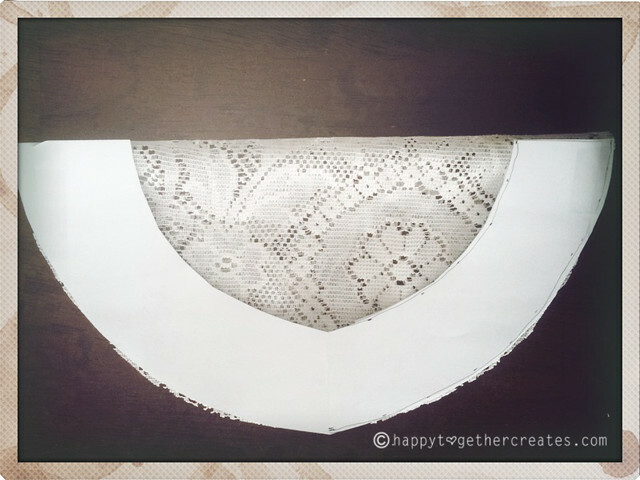 Now fold your fabric in half and place your pattern on the fold. Cut it out. Repeat one more time. You now have two circles. 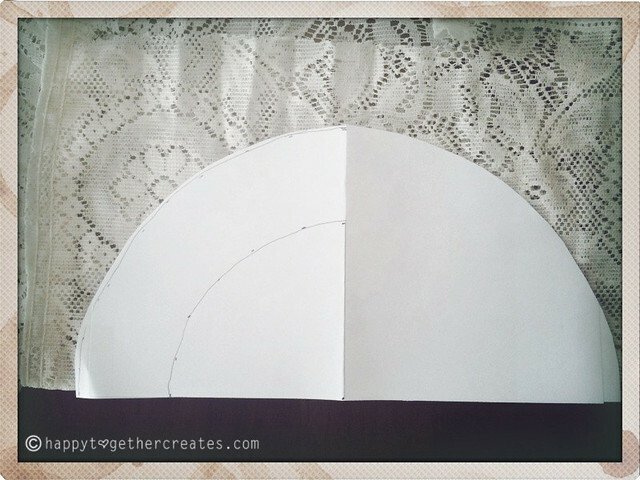 Fold your pattern piece in half once again and cut out the first smaller half circle you created. 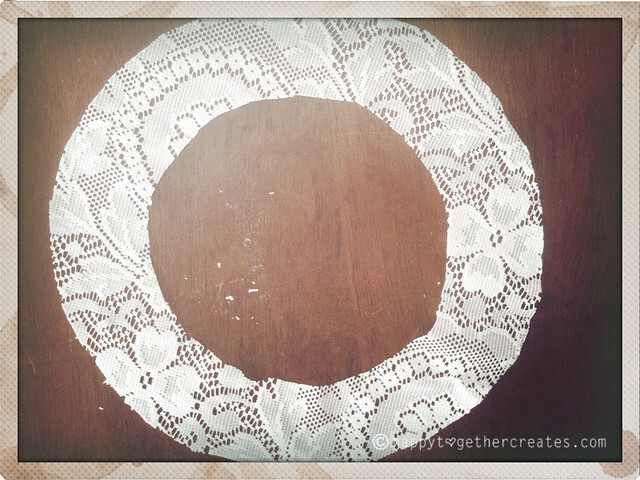 Open and place pattern piece on one of the circles and cut out the middle. Now place that piece on top of the other circle, right sides facing, and pin together. 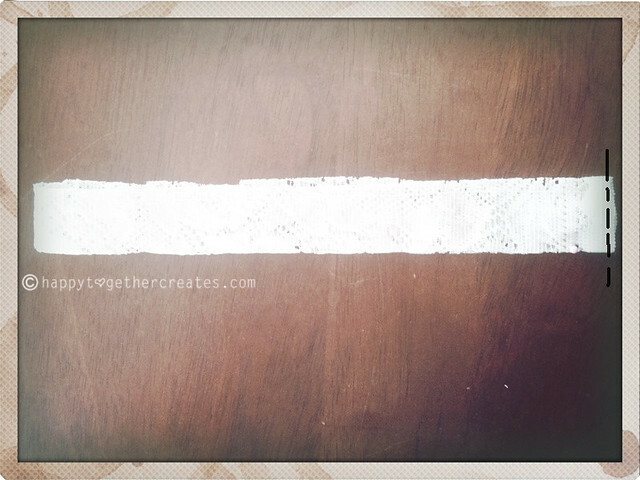 Sew around the edges with a small straight stitch. Go over the raw edge with a v-stitch if you like. Now you need to cut the band part. 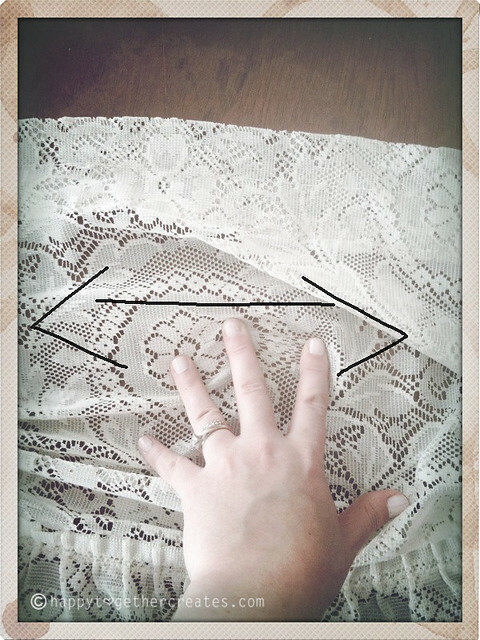 Pull on your fabric to determine which way the lace stretches some. You want the stretch to go horizontally. 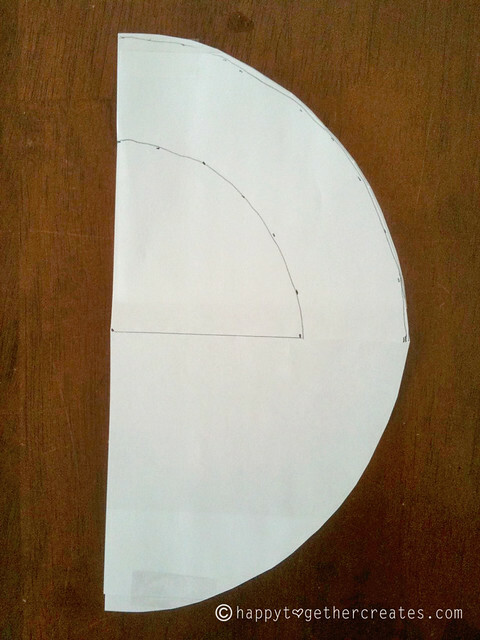 Then cut a piece out that measures (circumference of head + .5″) x 3″. 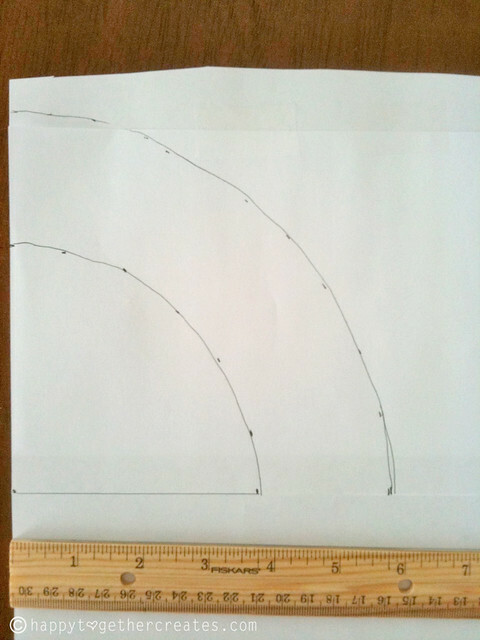 The longest length (the head size + .5″) should be cut horizontally, where the stretch is. Since I was using a curtain, I just cut off a piece at the top. Since it was already folded in half, I only cut it to be 1.5″ tall though. 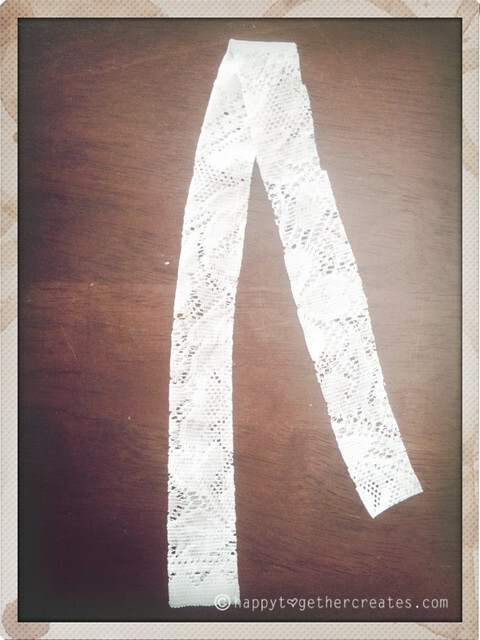 So I just folded it in half, right sides facing, and sewed together. 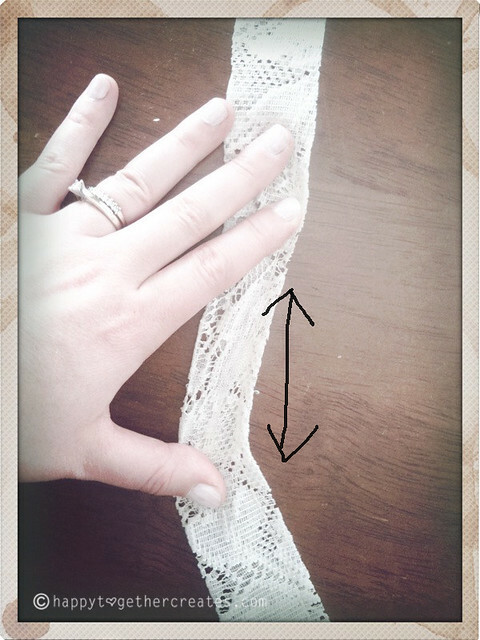 But, since most of you probably won’t do that, take your piece of fabric and fold it in half long ways (short ends meet), right sides facing, and sew together. Then fold in half height wise (this will still be a circle, but the bottom will be the fold and the top will be the two raw edges). With your hat still wrong side out, pin the band to it. The raw edges should all meet. 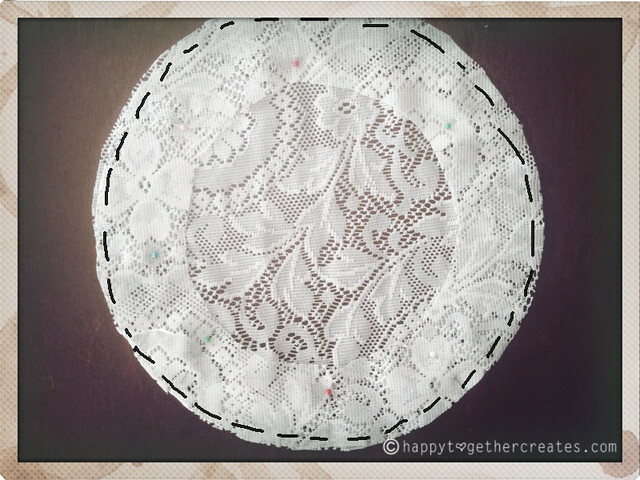 I found pinning in two spots, opposite of each other, then pinning the rest made it easier with this type of lace material. 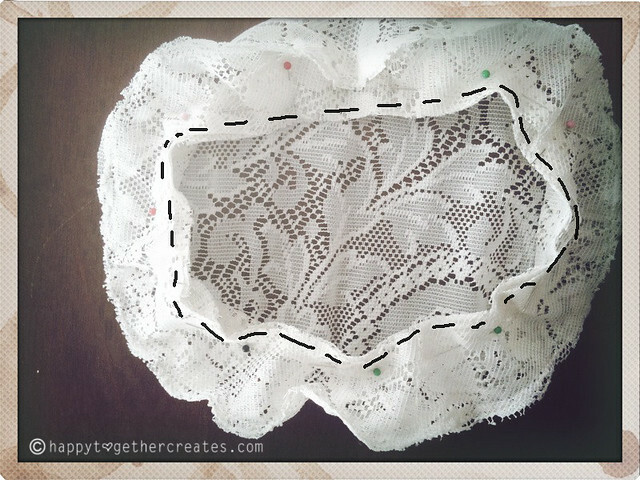 Once it’s pinned, sew together with a small straight stitch. V-stitch around the raw edge if you like. 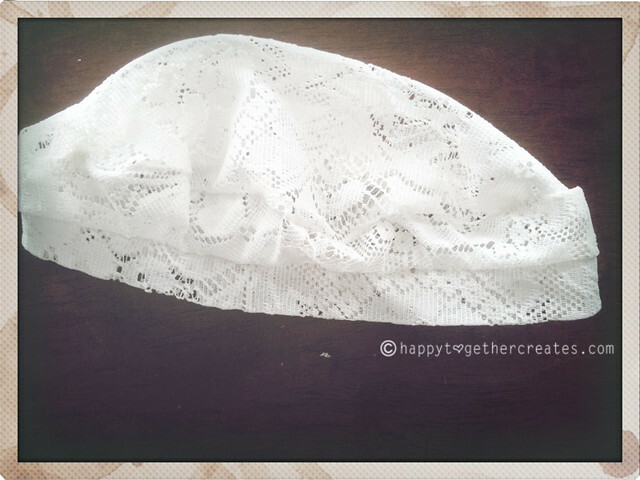 And that is one lace beret ready to be worn! I like to wear mine to the side, but play around with it and see how it works best for you 🙂 I would also suggest maybe using one or two bobby pin to help keep it in place.